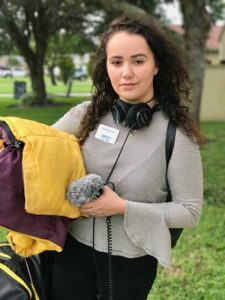 WGCU-FM has won a 2018 National Edward R. Murrow Award for Breaking News Coverage for its reporting of Hurricane Irma’s impact on Southwest Florida in 2017. The award was announced June 19 by the Radio Television Digital News Association (RTDNA). 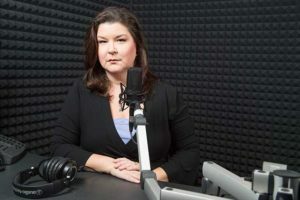 As a member of the Florida Public Radio Emergency Network, WGCU is one of 13 public radio stations that reach 99 percent of Florida residents during statewide emergencies like Irma.It was the strongest Atlantic hurricane in 12 years and left an estimated $63 billion in damage in its wake as the fourth-costliest tropical cyclone on record. In the days surrounding the storm’s landfall Sept. 10, WGCU provided top-of-the-hour weather updates from statewide reporters at various locations and its own local reporters stationed at the emergency operations centers in Collier and Lee counties. During the storm, WGCU provided 24-hour “wall-to-wall” coverage. To accomplish this – and accomplish it well, as acknowledged by the National Murrow Award – required station-wide cooperation news among news staff, broadcast engineers and others. For many staff members, this meant living at the WGCU studios at Florida Gulf Coast University during Irma, in many cases with family members and pets. “I could not be prouder of the people who toughed it out through this storm, living at the station and bringing vital information to people during Hurricane Irma. I felt like we did a good job – and being recognized at a national level for it is just incredible,” said WGCU News Director Julie Glenn. 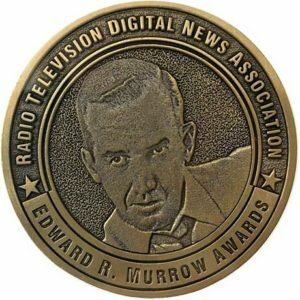 The RTDNA has been honoring outstanding achievements in broadcast and digital journalism with the Murrow Awards since 1971. A pioneer of radio and television news broadcasting, Murrow’s pursuit of excellence in journalism embodies the spirit of the awards that carry his name. From more than 4,400 entries, the 2018 national awards recognize 89 local and network radio, television and digital news organizations in 16 categories. From excellence in technical aspects of multimedia news to innovation, engagement and investigation, the winners exemplify the best of broadcast and digital journalism today. Awards will be presented during a gala in New York on Monday, Oct. 22. “Winning a National Edward R. Murrow Award means that a news organization has provided exemplary public service to its viewers, listeners and readers. These honorees truly represent the very best in broadcast and digital journalism around the world,” said RTDNA Executive Director Dan Shelley. The national recognition follows regional Murrow Award wins for WGCU announced in April: Breaking News Coverage of Irma; Excellence in Writing, for “Experience a Dark Sky Park,” by Jessica Meszaros; Investigative Reporting, for “High Arsenic Levels in Pine Island,” by Jessica Meszaros; Hard News, for “Governor Scott Visits Everglades City; Still without Power,” by Rachel Iacovone; and Continuing Coverage, for “Toxic Sludge in Dunbar Neighborhood,” by Quincy Walters. WGCU is Southwest Florida’s source for PBS and NPR programming. As a member-supported service of FGCU, WGCU’s mission is to provide educational programming that inspires, informs and engages the community. Serving seven counties, representing one-fifth of the state of Florida, with five distinct digital TV channels, two FM radio channels and two HD radio channels and multiple websites, WGCU delivers national and international programming and develops, produces and delivers relevant, informative and educational local programs.